Now this extraordinary designer has lent his hand to a range of exquisite stationery, note books and paper products that you will just love – Christian Lacroix Papier. Specially crafted from the finest paper, and embellished with intricate and unique illustrations, each piece in the collection is designed to bring an artistic element to your writing. After all, every wordsmith need a muse. 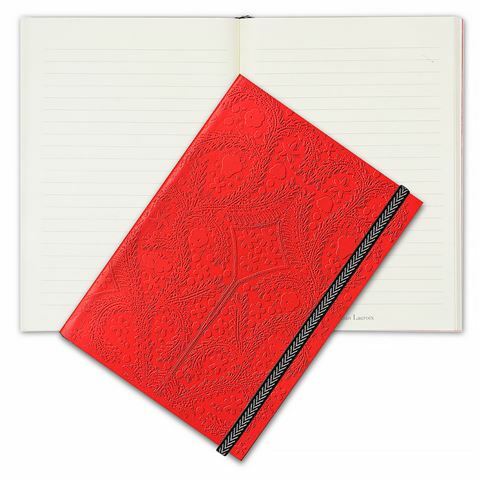 Decorated in a lavish, floral design, the Paseo Notebook is ideal for any aspiring wordsmiths. With lined pages and a fabric bookmark, you can simply throw it in your bag for easy portability. That way, you’ll have it on hand for those inspired moments when you feel the need to put pen to paper. 152 ruled ivory pages makes writing a breeze – no need to worry about veering off the page! Fabric bookmark ensures that you don’t lose your page. Beautiful, exuberant cover illustrations make this notebook a lovely gift or a treat for yourself. Dimensions: 21 x 15 x 1cm.